Sweating can be an annoying thing. It can get in your eyes, make you smelly, and really mess up your hair. But it might just be what you need for a healthy boost. 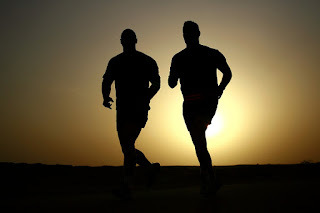 Whether it is an early morning jog, an hour in the sauna bath, or a workout in the gym, a good amount of perspiration can make a lot of difference in your physical, mental and emotional health. Prolonged sweating from an intense workout in the gym or a brisk walk in the sun can increase the level of happy chemicals, endorphins, in your brain. A good amount of sweat inducing physically activity bumps up the brain’s production of these feel-good neurotransmitters, making you feel well and happy after. Endorphins are not only capable of making you feel better. They can also act as natural painkillers such as morphine. They alter your brain’s pain perception, making unpleasant feelings easier to tolerate. Our body is one sophisticated machine capable of flushing out almost all kinds of toxins on its own. Even without the aid of juicing, sweating detoxifies the body of substances, alcohol, cholesterol and salt. It also purges out toxins that can clog pores and plague the skin with ugly pimples. Studies found that our sweat contains dermcidin, positively charged antimicrobial peptides that attract and break down negatively charged bacteria, fungi and viruses. Researchers of the 2013 study published in the Proceedings of the National Academy of Sciences found that dermcidin are not only effective against tuberculosis but also against most bacteria. They believe these naturally occurring chemicals have the potential of being more effective than antibiotic medicines for long-term use because bacteria are not capable of quickly developing resistance to them. A study shows that sweating out through regular exercise flushes out salt through the skin and retains calcium in the bone. This keeps salt and calcium from going to the kidney where they are highly to accumulate and form stones. Sweating (except for hyperhidrosis) has many health benefits, so add more physical activity in your daily routine starting today! See Also: What are the Warning Signs of Kidney Disease?